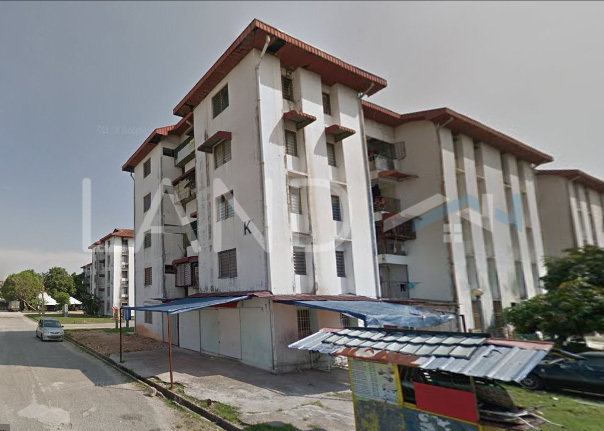 Taman Pelangi is a leasehold landed housing estate (with some low-cost flats) located in Juru, Bukit Mertajam.The built-up available at this project is 700 sf for flats. Other neighbouring projects nearby are Taman Limau Manis, Taman Pauh Indah and Taman Seri Delima. This landed housing estate (with some low-cost flats) is not very ideal for own stay or investment, as it has no amenities around. The current market prices for Taman Pelangi are from RM330,000 (about RM470 psf) for flats; while the monthly rentals are from RM900 (about RM1.24 psf) for flats. The highest median price psf ever recorded was RM471 psf in Q1 2019 (Flat); while the lowest one was RM79 psf in Q1 2014 (Flat). Meanwhile, the most popular layout and size combination at Taman Pelangi for flats is 3-bedroom / 700 sf with a median price of RM470 psf. For price wise, the most expensive one is 3-bedroom / 700 sf with a median price of RM470 psf; while the cheapest one is 3-bedroom / 700 sf with a median price of RM470 psf.